If you own an Amazon Fire TV or Fire Stick, you would probably appreciate a remote control. Thankfully, there are both physical and app-based options, and both official products and third-party options. In this article, we’ll introduce you to the best Amazon Fire Stick and Fire TV remote apps and controls. You’re sure to find one that’ll prove useful! You can buy the official Amazon Fire TV remote individually on Amazon. It’s useful if your original remote breaks or gets lost, or if you just want a second remote in your lounge. It has navigation arrows, cross-app voice search, Alexa integration, and Play, Pause, and Skip buttons. Note: The remote is not compatible with Fire Edition TVs. Amazon released the all-new official remote in October 2018. It has some important improvements when compared to the first-generation model. Most notably, it includes volume buttons, meaning you won’t need to keep your TV’s remote nearby while you’re watching. There’s also a power button and a mute button, both of which were absent from the original design. Before you hit the “Buy” button, make sure your Fire TV device is compatible. 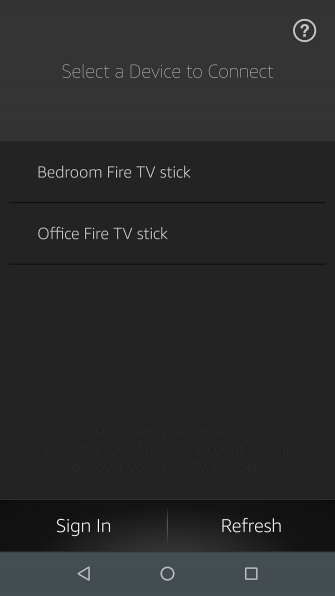 The new remote isn’t compatible with every Amazon Fire TV device. It only works with second-gen Fire TV Sticks, the Fire TV Stick 4K, the Fire TV Cube, and the third-gen Amazon Fire TV. What about some of the best third-party options? First up is the Sideclick Remote SC2-FT16K. It is an add-on unit for the first-generation Alexa Voice Remote for Amazon Fire TV that we discussed previously. The add-on, which attaches to the left-hand side of the remote, adds a lot of extra functionality. You’ll find a power button and volume controls, as well as a selection of other programmable buttons that you can use to control your regular TV (such as input selection and a channel changer). The official Amazon Fire TV smartphone app is available on Android and iOS. It’s free to download and use. Many people prefer to use the app over a remote. Not only does it let you use a keyboard for easier text entry, but it also includes shortcuts to all the apps on your Fire TV and a built-in Sleep function. It can also switch between different Fire TV devices on your network with the press of a button. Pairing the app with your Fire TV device for the first time is as easy as connecting to the same Wi-Fi network and entering a four-digit PIN code. Another official Amazon remote is the Fire TV Game Controller. It takes its design cues from the controllers for the PlayStation 4 and Xbox One. The controller has instant voice search and a headphone jack for private listening. And, thanks to its increased number of buttons, it lets you play the best Amazon Fire TV games. 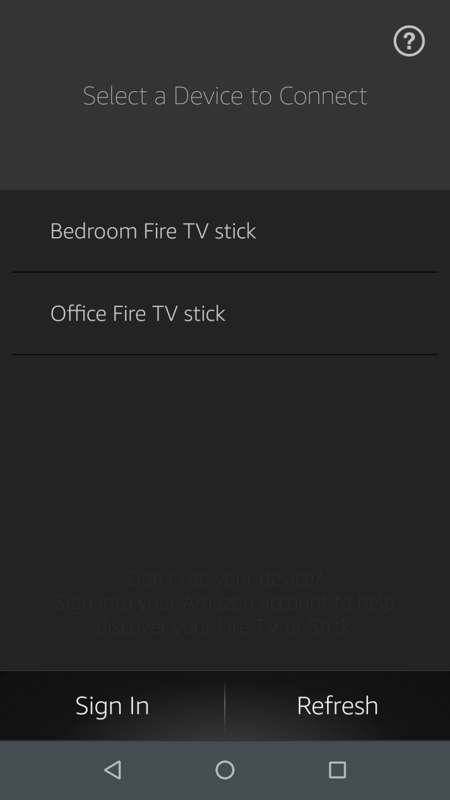 Naturally, you can still use it to navigate your Fire TV Stick in the regular way. Unfortunately, the gaming controller is not compatible with the 4K Fire TV, the 4K Fire Stick, Fire TV Edition TVs, or the Fire TV Cube. CetusPlay is an alternative Amazon Fire TV remote app. It works with the entire Fire TV range of products. Features include a D-pad, touchpad, keyboard, and mouse. You can also use the app to cast your local files to your screen and watch live channels using M3U playlists. Interestingly, the app is cross-compatible with Android TV boxes; if you have a mix of Fire TV and Android TV devices in your home, it’s a great option. As we’ve noted, one of the biggest frustrations of using a regular remote with an Amazon Fire TV device is the lack of a keyboard. 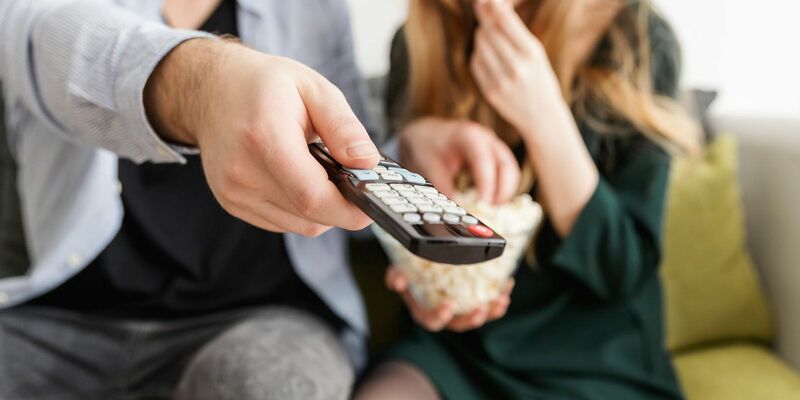 Many apps have a sign-in process, but more importantly, there’s also a choice of web browsers to use on your Fire TV Stick that let you surf the internet. The lack of a keyboard makes the browsers almost impossible to use efficiently. The solution could be the iPazzPort Mini Bluetooth Keyboard for Fire TV. The backlit device is about the same size as the regular remote. It also has basic navigation controls to let you move around the screen and select content. If you live outside the US, there’s a good chance you own an international edition of the Fire Stick. It lacks some of the functionality of the American model. The Basic Edition Remote for Fire TV Stick is the accompanying remote. It does not support Alexa and does not have volume controls. The SofaBaton F2 Universal All in One Remote Attachment is another device that clips onto your existing Amazon Fire TV remote in order to offer more functionality. Unlike the Sideclick model, which attaches to the side of your remote, the SofaBaton extension slots onto the top of your handset. It introduces 11 new buttons, including volume and power. There are also programmable buttons which you can use to control your DVD player, satellite box, or soundbar. We leave you with the colorful AuviPal R9. It rolls many of the best features of the other remotes we have discussed into one single device. There’s a full QWERTY keyboard, gaming buttons, a mouse trackpad, a D-pad, and left/right finger triggers. All the buttons are backlit and can display more than 180,000 colors. Best of all, the AuviPal remote isn’t only compatible with Fire TV devices. It will also with work with Nvidia Shields, other Android TV boxes, Kodi, Raspberry Pis, PCs, Xbox 360s, and PlayStation 3s. Sadly, the keyboard does not work with Roku devices. Remember, your Amazon Fire TV device is capable of running almost any Android app, even if it’s not in the Amazon Appstore. 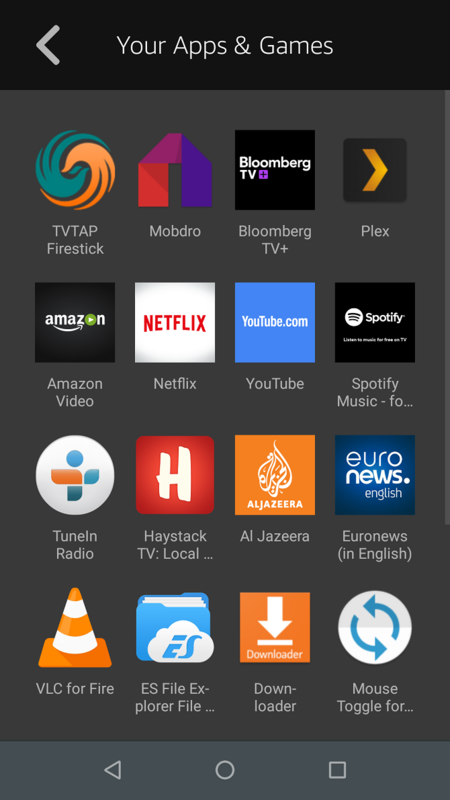 You just need to learn how to sideload an app onto your Fire TV Stick. And if you sideload apps, you will also need to install a mouse app on your Amazon Fire Stick. It will make navigation much more manageable.